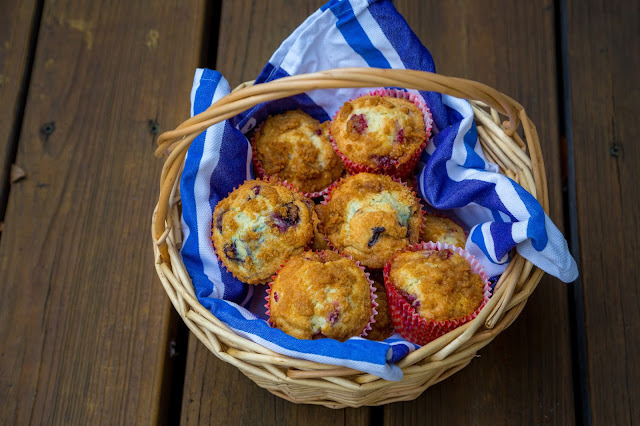 I don't have any story to go along with this recipe, its just a great reliable muffin recipe to have in the binder. 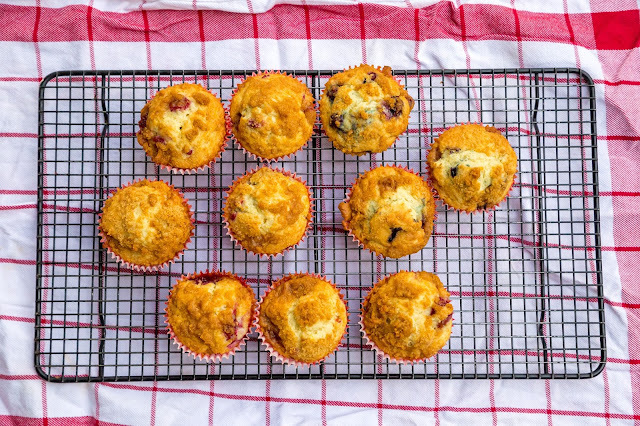 These make a great dense crumbly berry packed muffin, that is fairly fast to whip up, and reliably looks pretty. 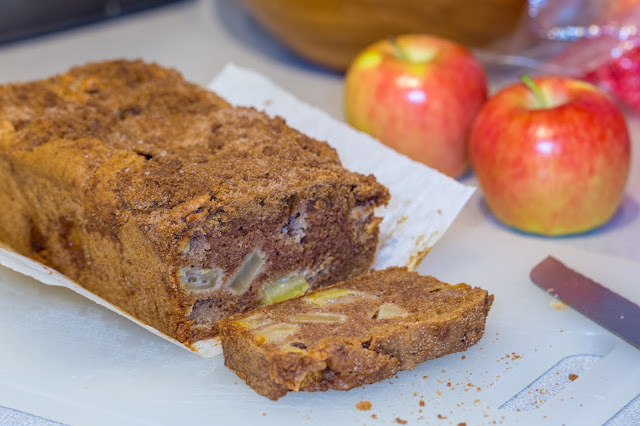 The cinnamon crumb topping and the hint of lemon make this muffin rise above others I have tried. I tend to buy frozen berries (mainly raspberries and blueberries) whenever I see them on sale at the store and stock up on them. The recipe tastes just as good with frozen berries straight out of the freezer, so there is no need to waste your money on fresh berries, and no need to wait patiently for summer. The only downside to this recipe is that these really taste best in the first 24-36 hours after baking them. 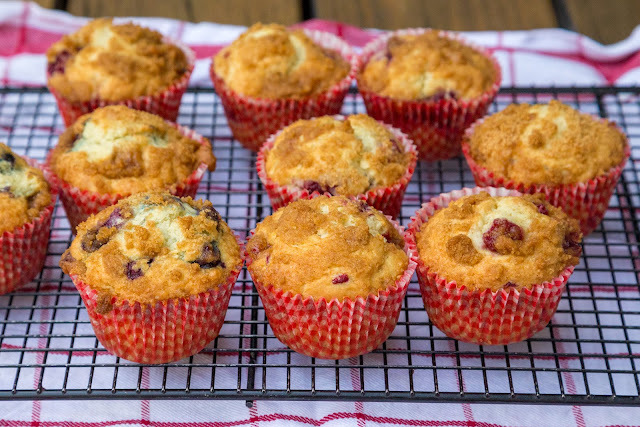 If you are looking for a berry muffin recipe to last you through the week, then I'd resort to the old faithful banana raspberry muffin (here).